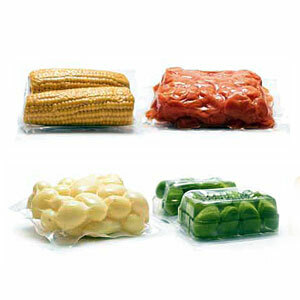 This kind of packaging is generally used for vegetbles or fruits that need long shelf-life. The best way to improve considerably the shelf-life of preprocessed products is using a “thermic shaper machine” which can pack both in vacuum-sealed packaging and in modified atmosphere (MAP), by the introduction of specific gases. This machine can be loaded both manually or automatically.